Modifications: Stuck to the recipe pretty closely, did not use whole wheat pasta because try as I might, it still doesn’t taste good to me at all. 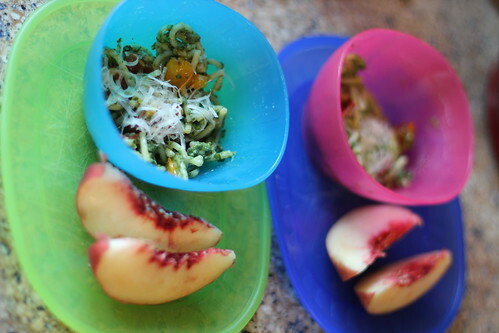 Notes: We are gluttons for punishment sometimes (aka extremely stubborn) – after the debacle with the last meal, I was determined to try another version of green pasta that I felt would go over a bit better and get the kids used to the idea that green sauce on pasta IS good! 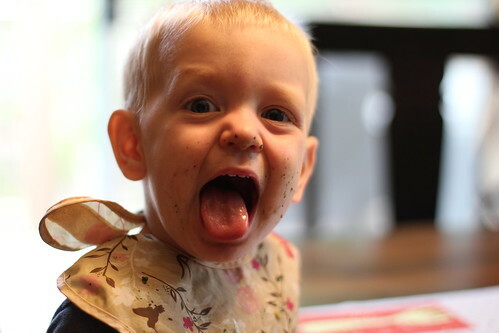 (or remind them, rather, since they have had pesto on pasta many times) It seemed to work! I also gave them comically small portions so they really wouldn’t have to eat that much for it to be a smashing success. Luke did have another helping, and both kids ate this really well and said they liked it! 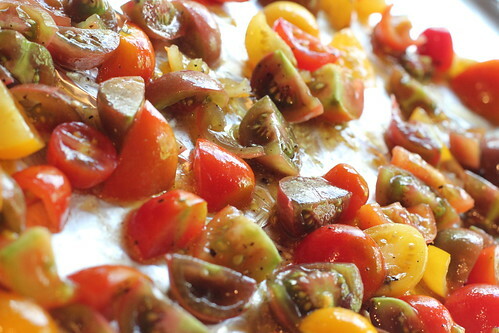 I was surprised at how easy it was – the longest step was chopping the tomatoes and roasting them. 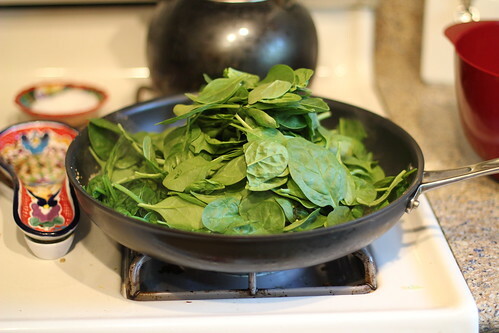 I did not really read the recipe that closely and was somewhat shocked to see that it called for A POUND of spinach, not sure I used quite that much because I wanted to save some for smoothies tomorrow. This is packed with great stuff and the avocado and yogurt give the sauce a really smooth flavor! 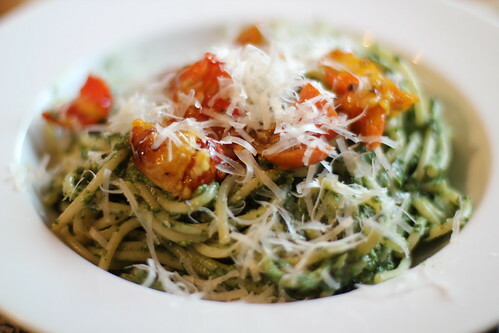 This entry was posted in avocado, basil, garlic, one dish meal, parmesan, pasta, spinach, tomatoes, vegetarian, yogurt. Bookmark the permalink.